WASHINGTON - The latest FBI figures show there's a lot less violent crime across the country this year, a trend experts attribute to a larger investment in crime prevention by government and law enforcement. The 6.5 percent drop in violent crime continues a five-year decline that shows the numbers of murders, rapes and robberies steadily falling. Crime analysts credit an aging population, stiffer prison sentences and better policing. Bill Bratton, the former chief of police in Boston, Los Angeles and New York City who's now chairman of worldwide investigative company Kroll, said on CBS' "The Early Show" Tuesday that the country's feeling the residual effects of methods and strategies put into place more than a decade ago. "In the 1990s, policing got it right," Bratton told "Early Show" anchor Chris Wragge. "We began to focus once again on preventing crime; '60s, '70s, '80s, we focused on responding to crime. It's a lot different to try to prevent it, and we've become very successful at preventing it." Northeastern University criminologist James Alan Fox disputes the popular myth that crime should be going up in a bad economy. "They're using technology; they're using data, crime patterns, maps to figure out where are the hot spots, what's the trend in terms of crime and trying to be proactive," Fox said of law enforcement agencies. "People are either criminals or not, independent of whether they have a job. 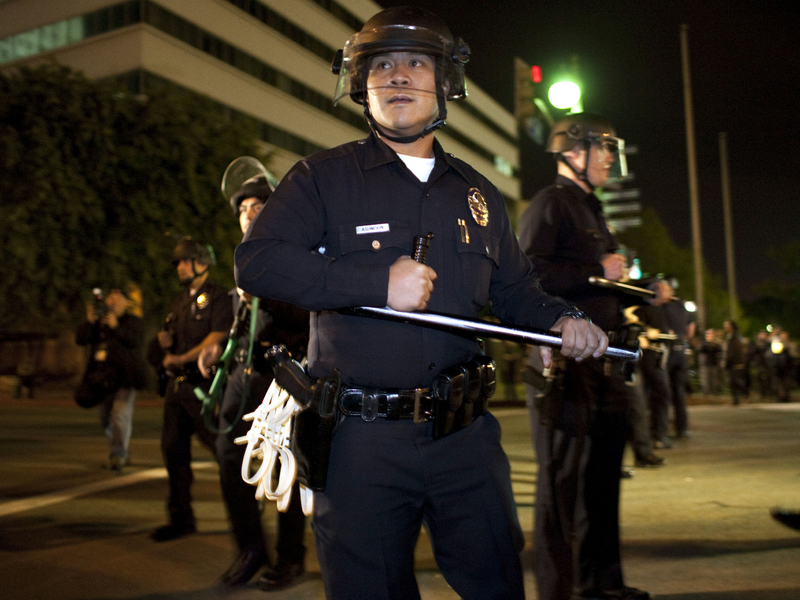 In the first six months of 2011, robberies in Los Angeles dropped 10 percent from the number reported in the first half of the 2010. Over the same time period, Chicago recorded 14 percent fewer murders, and in Dallas the number of rapes fell by 22 percent. Crime is down in big and small cities in every geographic region. The Northeast saw a drop of 3.6 percent in the first half of the year. In the South, crime fell 5.8 percent and 6.6 percent in the West. The biggest decrease was in the Midwest, where violent crime dropped 9.7 percent. Property crimes, burglaries and arson also all dropped in the first six months of the year. It could be a challenge to keep driving these crime rates lower with all police departments virtually under constant budget pressures.